This week was another easy-going summer week for my son and daughter. The learning in our home never ends and we like it that way! However, Blueberry Ball has been sick most of the week, so I kept it all to whatever he wanted to do. Whenever he got bored, I gave him options to choose from of things from our summer school stash. I like that at this age, it works! 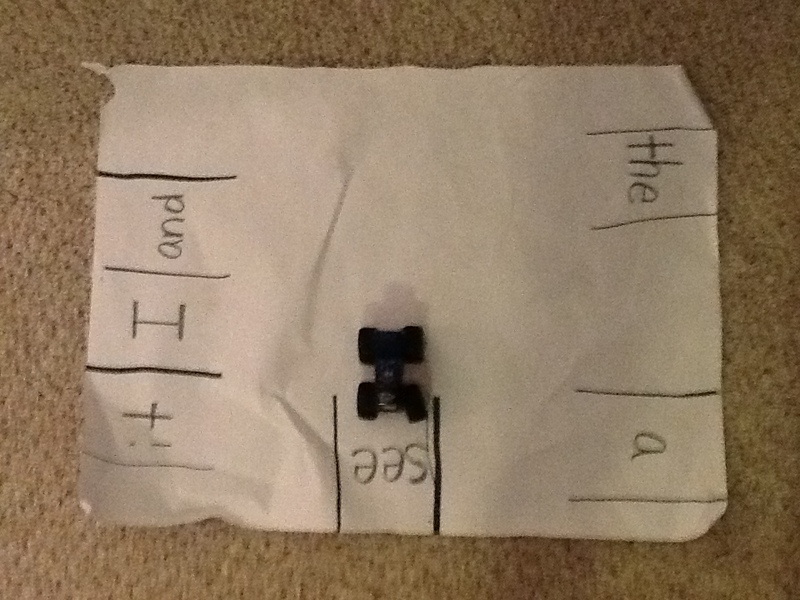 Monday, he asked me to make another Sight Word Parking Lot. I tried to involve Raspberry Bug in the fun this time around by adding words that she was familiar with as well. She didn’t understand the concept of the cars and words together just yet, but after initially trying to tear up the paper, she had fun pointing at and recalling the different words. This was frustrating for Blue, however. He specifically told me, “Mommy, you made the parking lot too big!” I think it was too overwhelming for his math-minded little brain to see so many letters and words all at once. It’s a little difficult for me as a teacher to have two separate word lists for them. I didn’t do this on purpose. 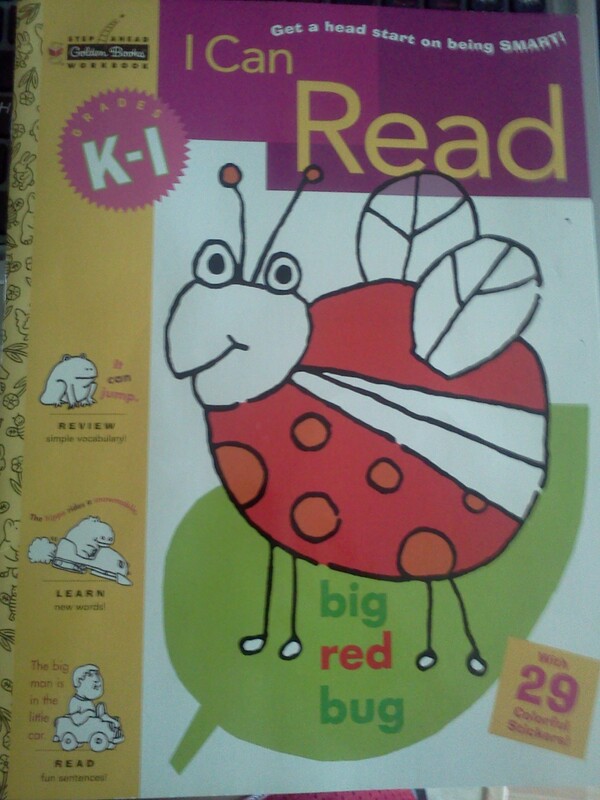 Red fell in love with an app that her grandmother purchased for her on the IPad called Endless Reader. Honestly, I didn’t know she was ready to start on sight words (she was just under two when she began recognizing them). Most of her sight words are from the dolch list, but some are extras they added to get words in all the A-Z categories. I think once we get every package on Endless Reader, she will have all of the common kindergarten sight words plus some, but until then, there will just have to be a gap. Blue ended up sounding out a couple of words, then just playing with his cars. Tuesday, we did some more with our Sight Word Popsicle sticks per his uninfluenced request (I love those ❤ ). It didn’t last long, as his fever came back that day and he got tired. I’m just glad he was excited to try this activity again. I turned the folder back and we only focused on the lower-case side. 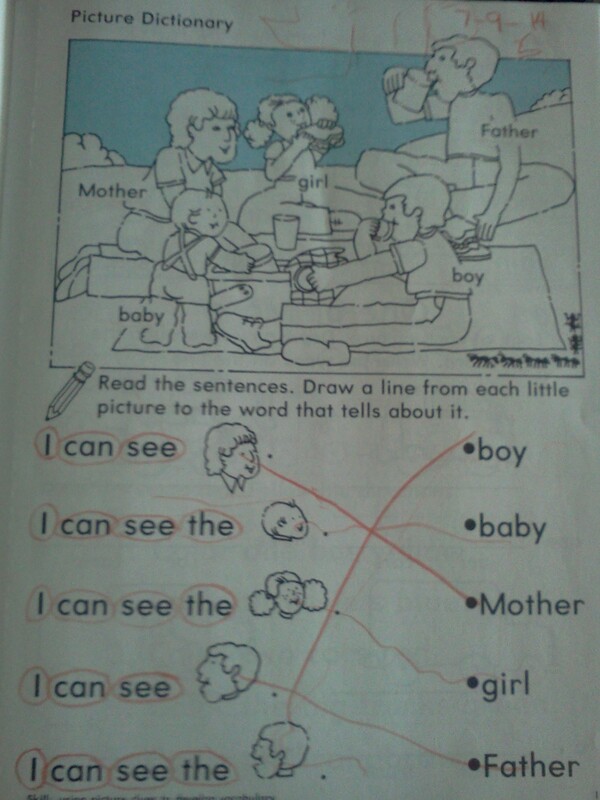 Wednesday we did the first page of his new “Step Ahead Golden Workbook” called “I Can Read“. First of all, the title intrigued him a great deal. Daddy bribed him with a new Game Boy and Pokemon game as soon as he learned how to read well enough. 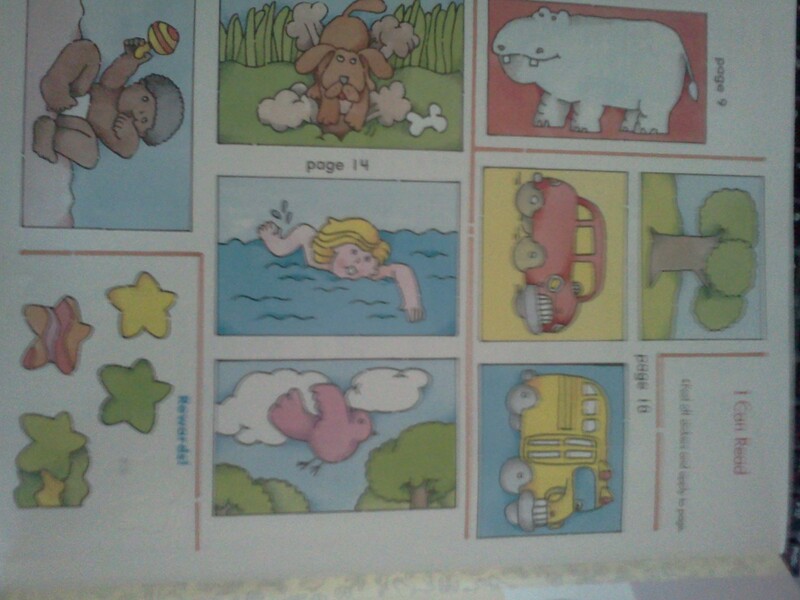 He did the first page with ease! He was able to either sound out or recognize the common sight words used, and we did the picture-word connections together. He began almost immediately getting frustrated and confused at me pointing out individual words, so instead I circled each word in turn as we came to it. This idea had great success. Now if only I could do that with books…. 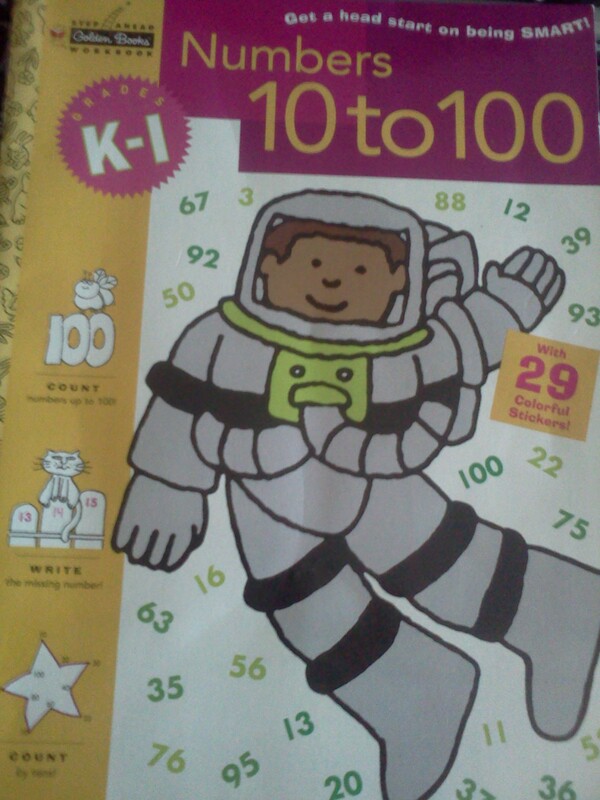 We have the “Numbers 10 to 100” workbook that he already has been working on and enjoying. 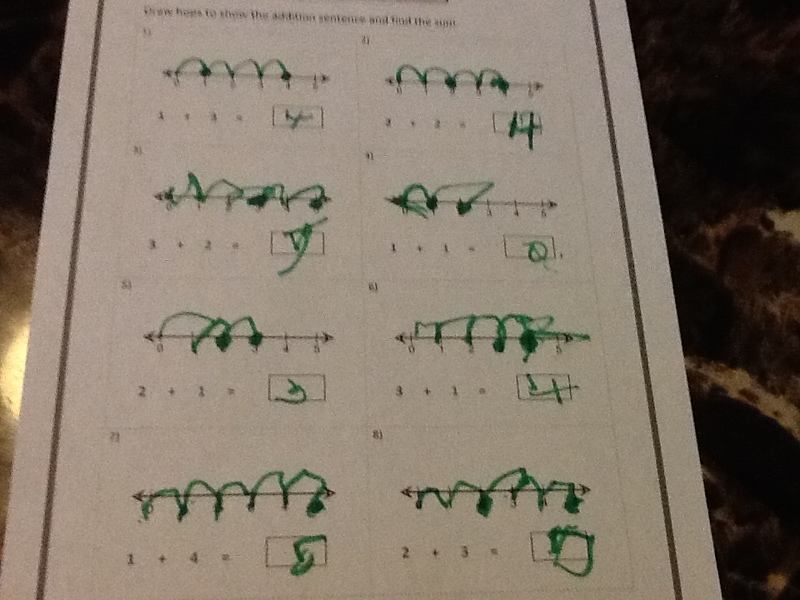 Some of these worksheets I have him write directly in, and some I have placed in his Dry Erase Notebook for continuous use. 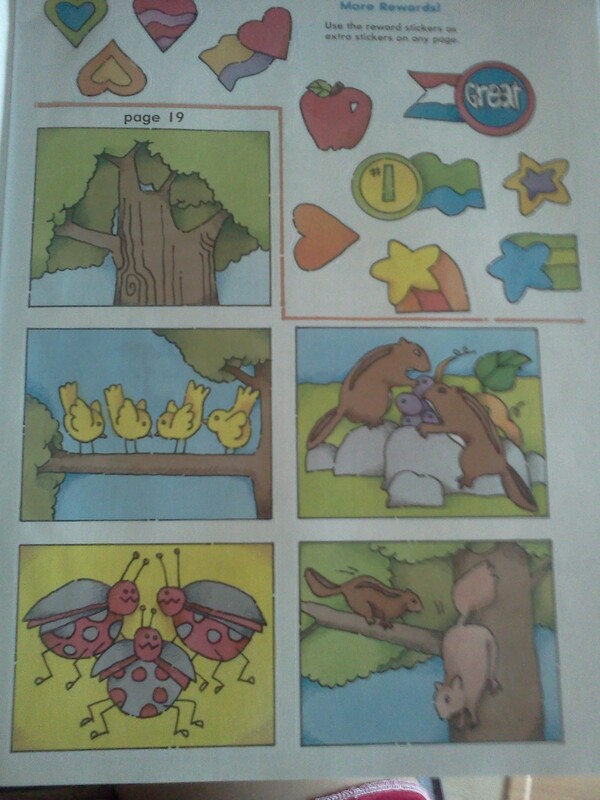 I love these workbooks. Especially for summer time. It keeps things that I don’t have to print on hand at all times. Plus they were only three dollars or so each at the store. “Home School On A Dime”, right? They come with stickers too. Some have a specific theme or page in mind, and others are simply reward stickers. Blue loves the sticker incentives. Kind of like the Activity Boxes we did each Tuesday last year. I love that each sticker generally has a designated space. It works his hand-eye coordination and his fine motor skills. These are workbooks that he needs assistance with still. They require some reading skills that he has not yet acquired, but he is up for the challenge, and most days, so am I. The idea is to prepare him this summer (as much as possible) for the first grade curriculum I purchased for the upcoming school year. I’m not concerned about his math skills so much. 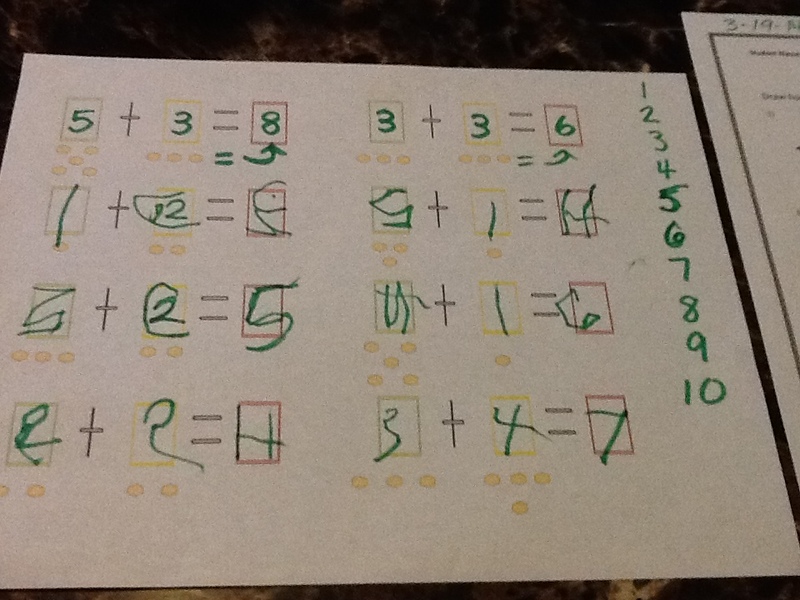 The math section largely covers review of some things he has already learned, and introduces new topics slowly. The reading section has a list of words he should know by the end of the year, but requires an adult to do the majority of the reading anyway (even for end-of-the-year testing). I just want to get a head start on sounding words out and on the sight words themselves. I think he’s going to do great! Red did lots with her markers, dry erase board, and chalkboard. I’m so glad she finally stopped eating markers and chalk! She spent at least an hour each day doing some kind of art. I also wrote down individual sight words for her to recognize. She likes that activity, but only for a few minutes at a time before she wants to try and write them herself =). Thursday we read a few books together, but they both slept for most of the day. 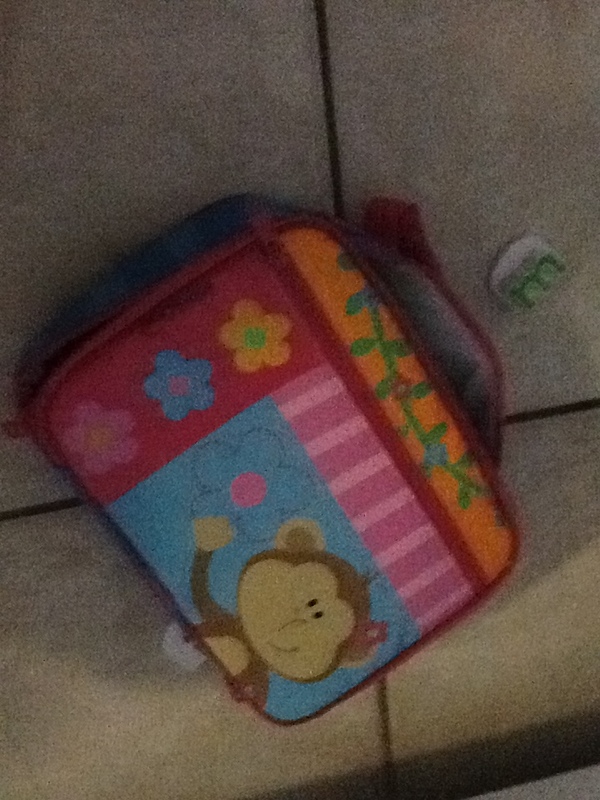 Mommy just caught up on some extra housekeeping and organizing she’s been putting off. And today, like most summer Fridays, is our lazy/fun day. We are at Grandma’s condo enjoying the amenities. I did bring the new workbooks, however, just in case! I can’t wait to see what our next week looks like. Each day, we get closer and closer to our new school year. YAY! What does your summer review look like? I hope everyone enjoyed their Independence Day Celebrations! 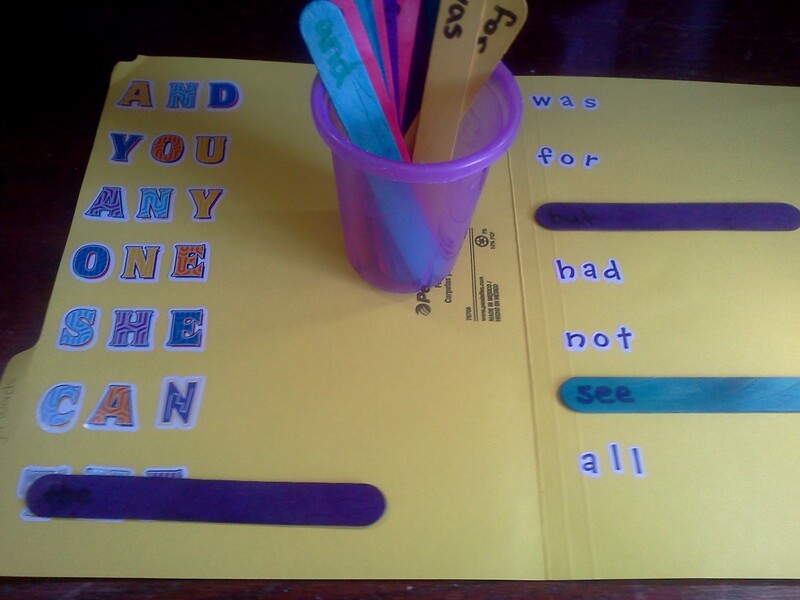 Last week we focused on sight words. On Sunday night, I wrote a list of words I want Blueberry Ball to recognize by the end of the year on Popsicle sticks, one word per stick. I also made some from the word list in Raspberry Bug’s favorite app, Endless Reader by Originator. This way, she could practice words she already recognized and feel involved in the activity. 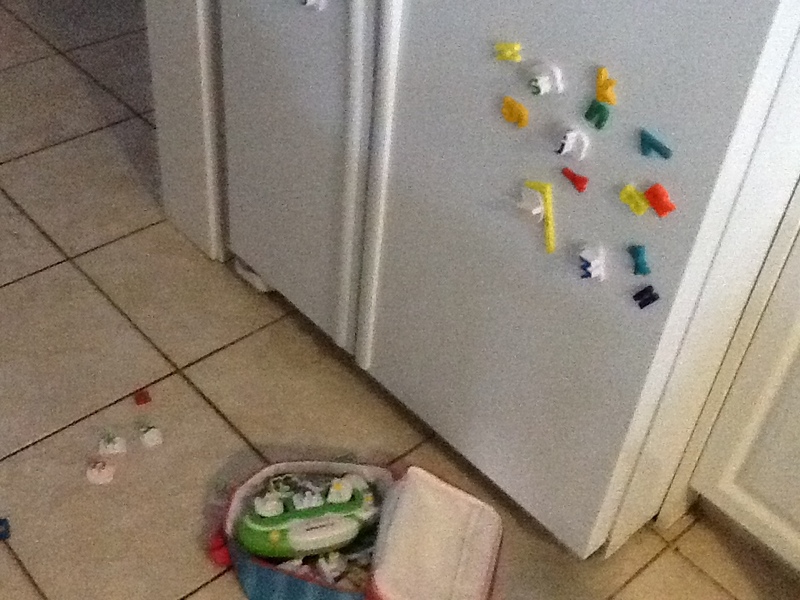 We could have used printable flashcards, but Raspberry Bug would have had those torn up by the first day. The Popsicle sticks have great durability, and they are just more vibrant and fun. On Monday, I just let the kids play around with the sticks. They walked them around and made them talk to each other, they turned the sticks into tracks, and even cars. They were able to naturally explore the different words, and Red even tried naming the colors of the sticks at one point. I wanted the sticks to seem more like a fun toy than like a school item. It seemed to work! They played for nearly an hour with the sticks, and I simply called it a full school day after that. I also took three craft sticks from the package and wrote the phrase “zap it!” on them for Tuesday’s activity. 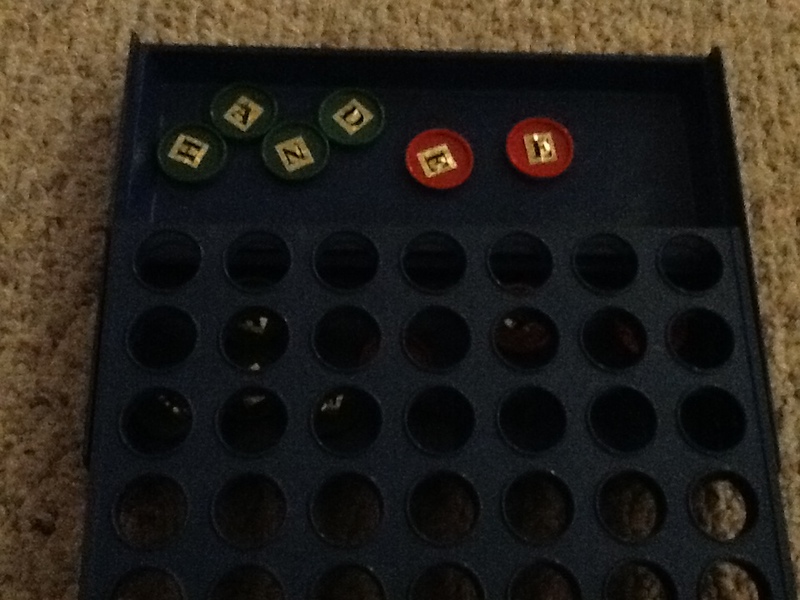 I found this game idea over at Meaningful Mama. On Tuesday, we played the “Zap It!”. 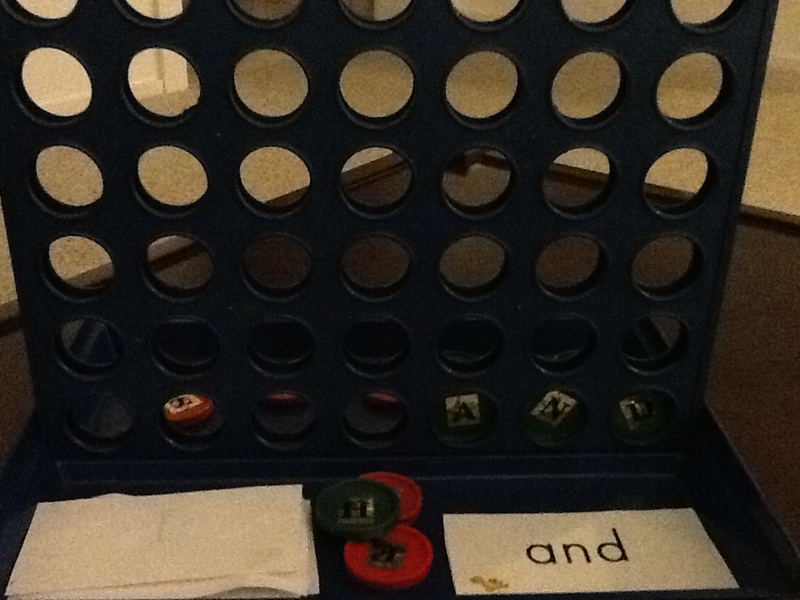 I only used one “Zap It!” stick and a few of the easier, more familiar sight words to play the game. This was too advanced for Red (two years old) to understand, so I just had her read a stick here and there to stay a part of the fun. But Blue enjoyed the concept for a few minutes. When he got frustrated, we stopped. I don’t want reading to be a source of contention in our home, I want it to be enjoyable. We repeated this activity for Wednesday, and he did it for a few minutes longer than the first time. 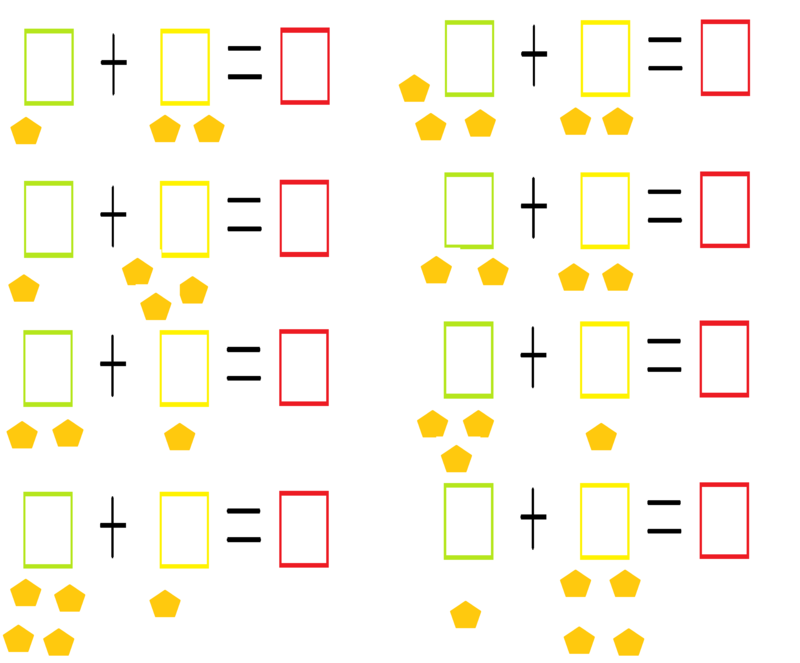 On Thursday, I decided to create a matching game using the same sight word sticks. 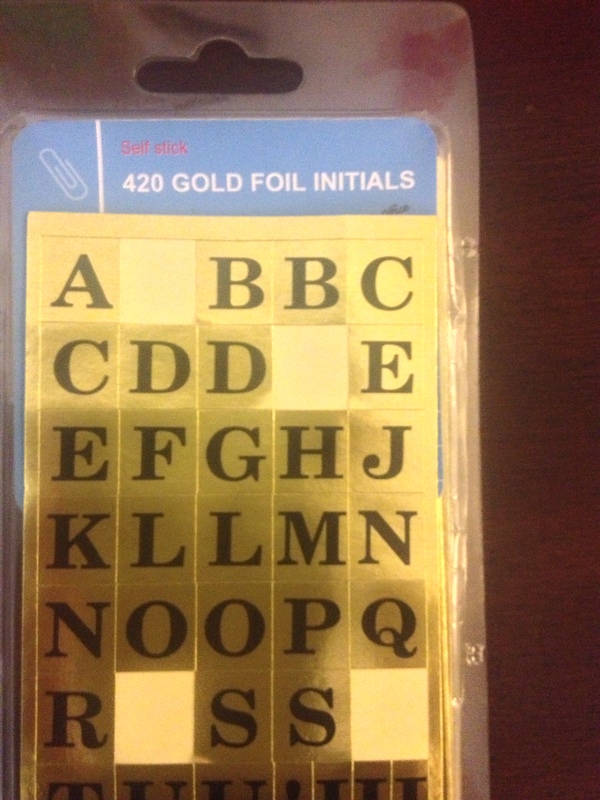 I spelled some words on a file folder using stickers. I made some in uppercase letters and some in lower case, but I think Blue found the lower case letters to be a lot easier to read. That’s how I wrote them on the sticks and that’s how they are most commonly written. I just simply ran out of lower case stickers. 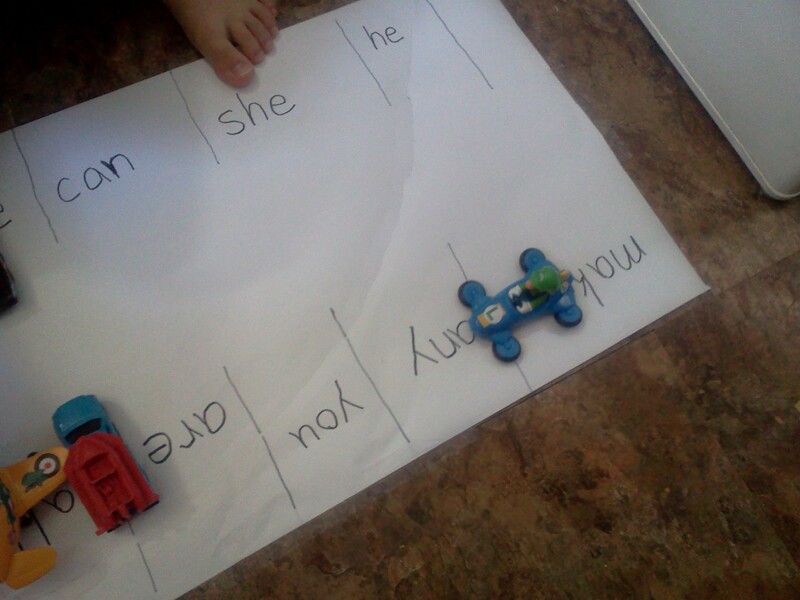 It was, however, good practice in letter and word recognition. 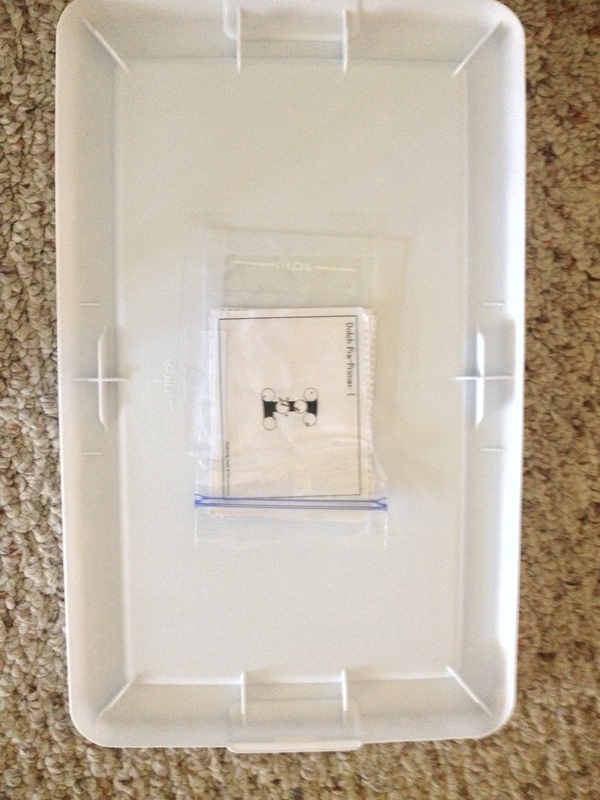 I also found it easier to have him do one side of the folder at a time. He got overwhelmed at first having to look through all the words at the same time. I love what we’ve done with both the craft sticks and the file folder. I can see using both again in the future. Do you have any more ideas using Popsicle sticks and sight words? I’d love to hear them! I guess Blueberry Ball has basically been studying his three Rs: “readin’ ritin’ rithmatic” (excuse the southern spirit shinin’ through (= . 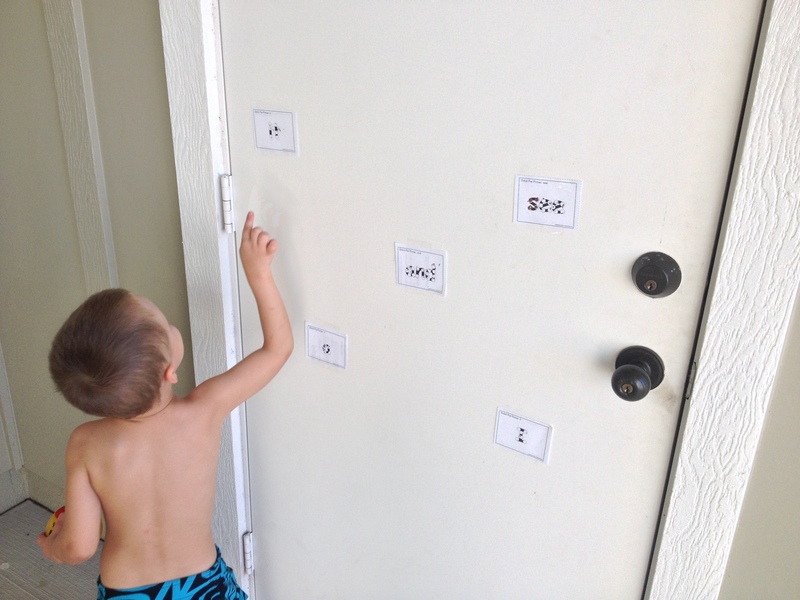 We had so much fun introducing sight words the last three (week)days.I know I usually post about activities from specific days, but this one is more about the “Sight Word Fun” we’ve been having. I started off with just a few easy words. I didn’t want to overwhelm him, I only wanted to test the waters a bit. So I started off with something I already know he loves – mazes. 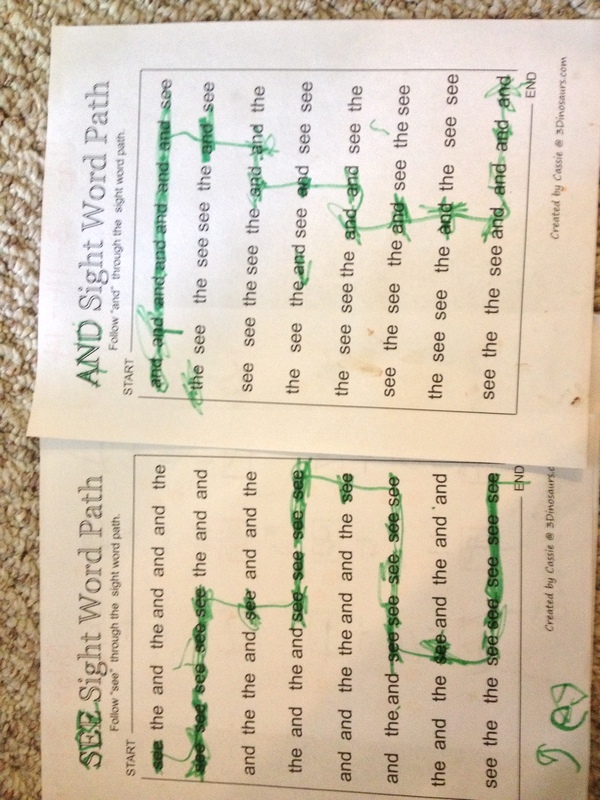 I found these “Sight Word Paths” at one of my favorite websites, 3 dinosaurs. I thought it may be difficult for him to focus in on, but he actually accepted the challenge and took right to it. When he was done with the first one, he asked for another. Yay! These mini books from Hubbard’s Cupboard are just darling! 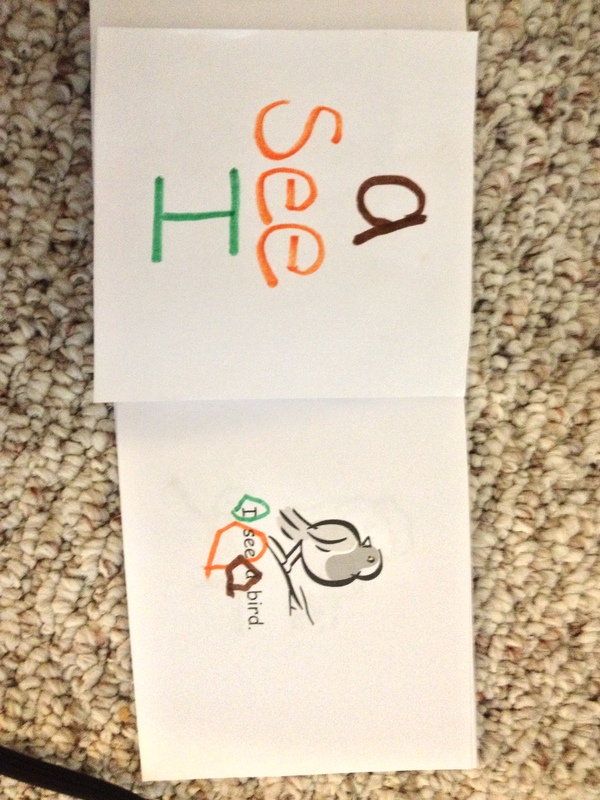 I printed out the “I see a” book and he didn’t want to do it at first because he thought it was coloring (he hasn’t been too fond of coloring lately). Once he started, it seemed to be a real confidence booster for Blue because he could already read some of the words after completing the mazes. The words he was unfamiliar with were the ones pictured. I made a key for him (on the left) which had him circle each word a different color. He also did another one I found on 3 Dinosaurs. They had Do-A-Dot printables for free on the website, which never really interested me, but when I saw what the author did with them for her older children, I wanted Blue to “Do-A-Dot” too. She simply changed her printer settings to create multiple words on one page. 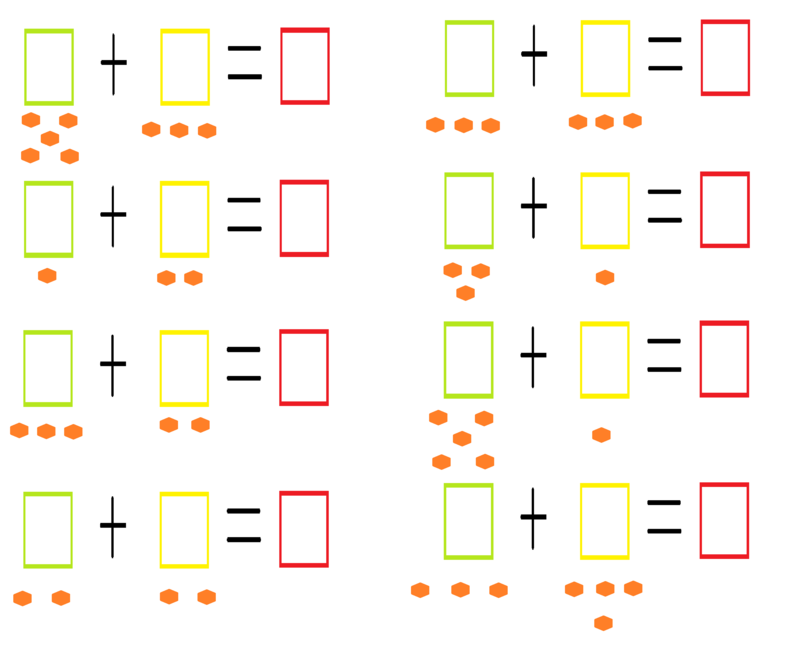 By doing this, her children were able to “dot” the words with a marker. 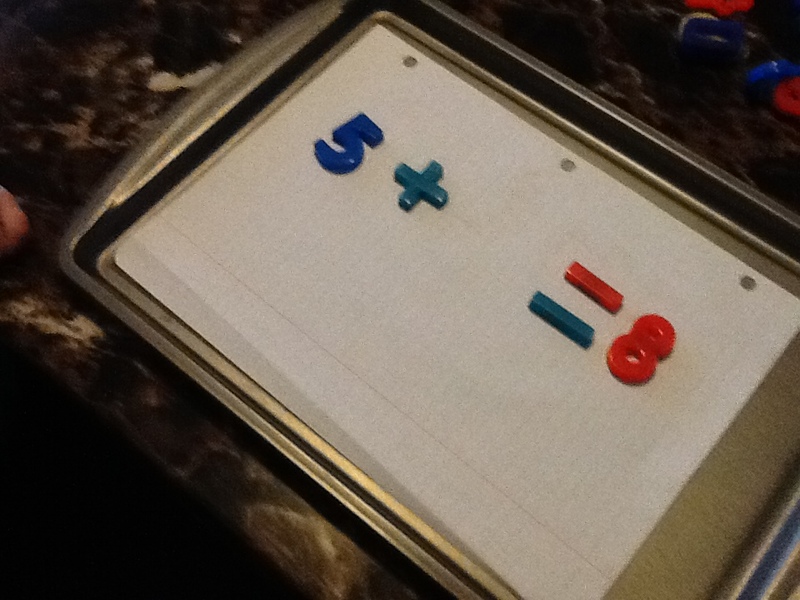 It worked on his fine motor skills without getting bored of handwriting. And, it still gave him some recognition and spelling basics. I cut ours apart so that he didn’t have too many to work with at once and so that we could use the cards for more activities that same day. 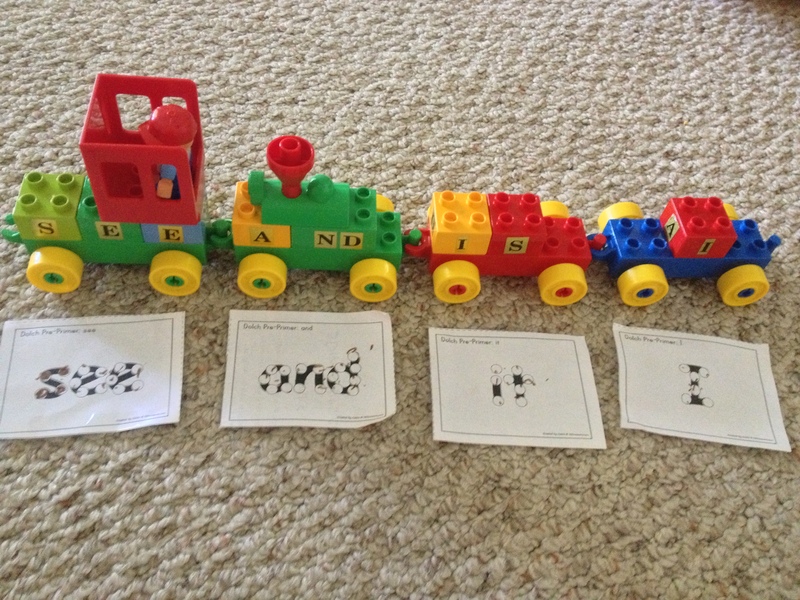 We used them to build a word train. 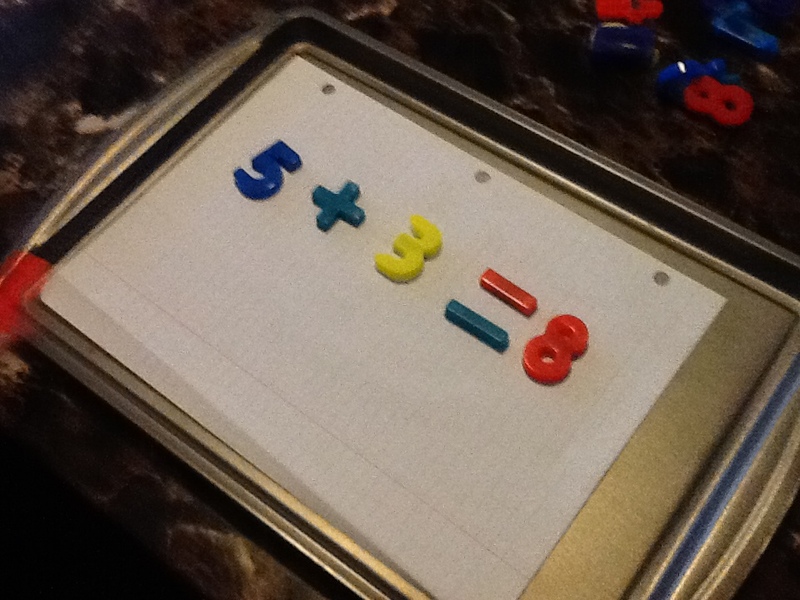 This activity seemed to take all he had in his attention span to complete, but he did it with help. (click on the images to purchase from Lego.com). I did many of the blocks with one letter on each side, and then I added some common letter combinations to some of the larger-sided blocks. This is something both Blueberry Ball and Raspberry Bug can enjoy for probably a few more years yet. 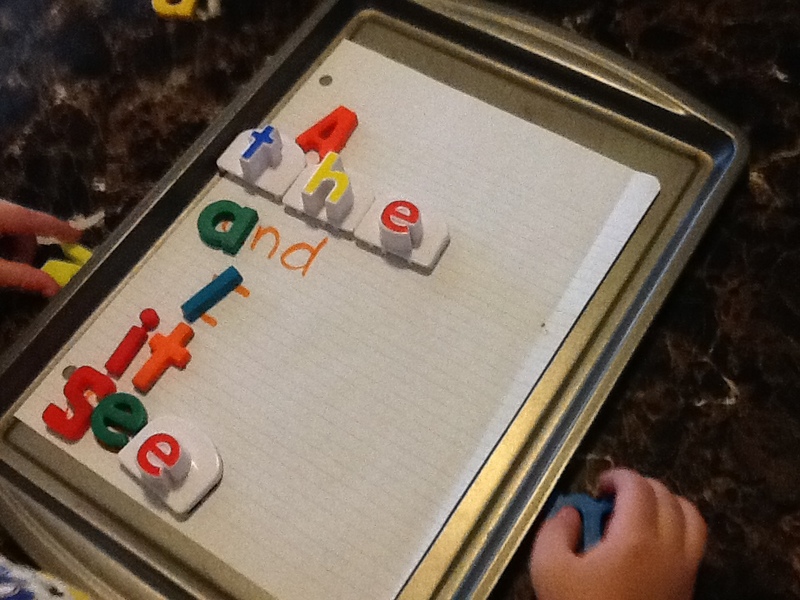 Blue likes the challenge of making words while Red practices her letter recognition. The word train actually made me wish we had more Legos. Then we went outside for some gross motor play. I taped the cards up on the garage door and gave him a soft ball. Then I would call out a word for him to throw the ball at. He got tired pretty quick chasing after the ball each time, so I changed it to slap-a-word. He must have played this for over an hour! It was a huge success. 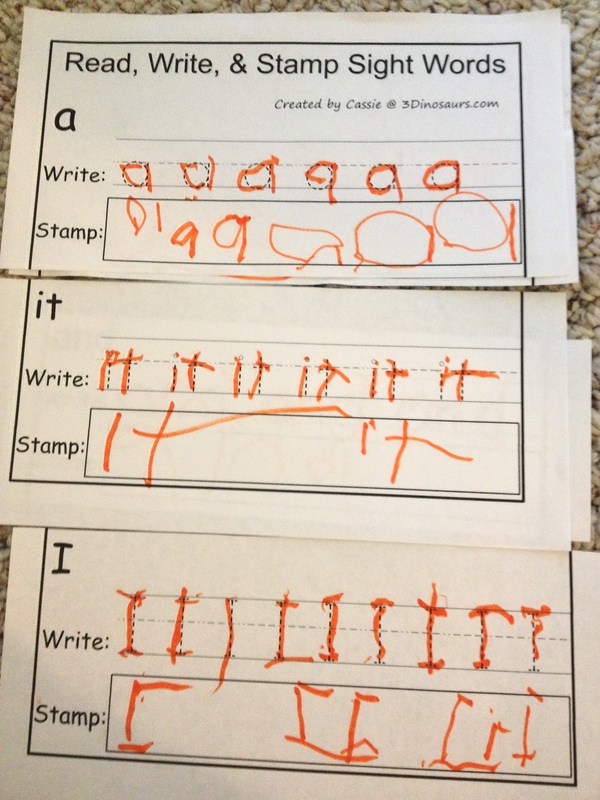 We also did some of the “Read, Write, Stamp” worksheets. Again, I cut these apart so he didn’t feel overwhelmed with too many at once. We don’t have any stamps, so I asked him to free-hand the words in the boxes at the bottom. His handwriting is definitely coming along! I found a great High Frequency Sight Words Video. We mainly use it for when I’m getting the next activity ready or when I’m making their lunch. Blue calls some of them out already and Red enjoys humming along to the tune. It’d be annoying to just sit and watch with your kids, but it’s great to fill their gap-times with. I just try to make sure that when they watch it, they are paying attention to the screen and not some toy or other school activity. The whole point of this video is to help them associate the written word with the spoken sounds. 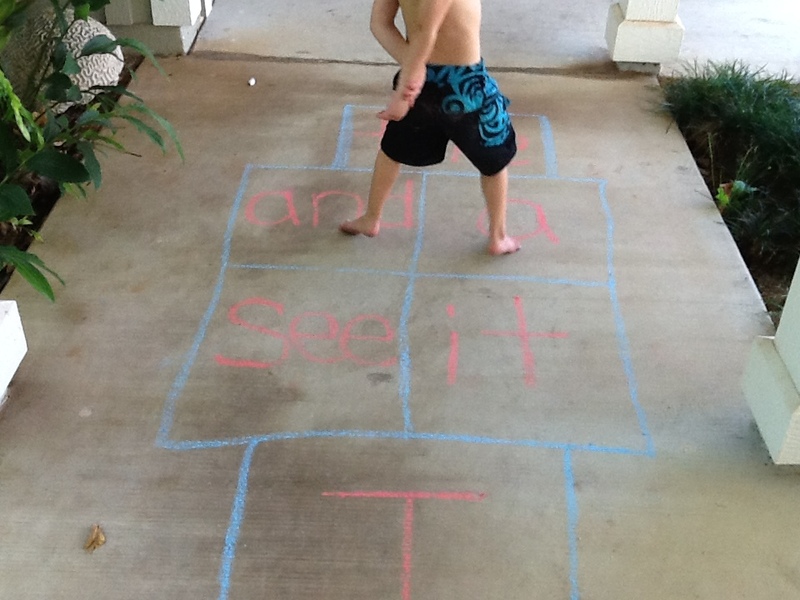 Probably our favorite sight word activity so far has been “Sight Word Hopscotch”. I grabbed the sidewalk chalk and drew a grid. I then placed a word into each square. He picked a favorite rock and tossed it onto one of the squares. I told him to jump onto all the squares except the one with the rock on it. Each word he jumped to, he had to identify. He said each word in the same sing-song sounds as the video.Too cute! He stayed at this one forever! I finally had to tell him to come in. We will surely be using this one as a stand-by boredom-crusher in the future.